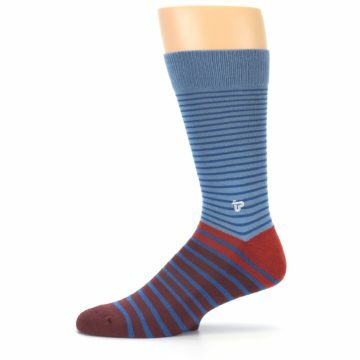 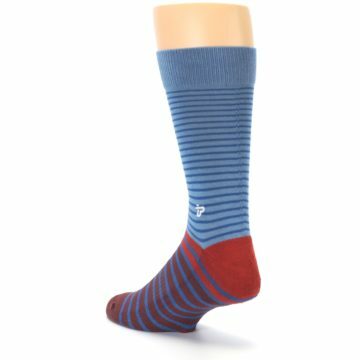 Brand: PACT - quirky socks sparking a movement with social and environmental projects. 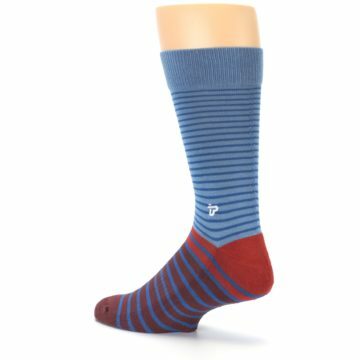 PACT sources fabrics according to the highest environmental standards and tries to minimize their footprint throughout the manufacturing and distribution process. 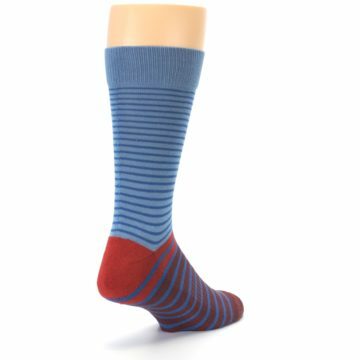 Cotton is a breathable, soft textile that is both comfortable and durable and is grown, harvested and produced to organic standards. 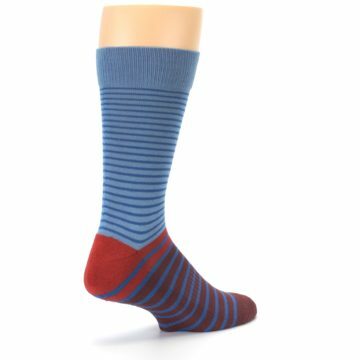 Stock up on this style to keep your fashion sense moving forward. 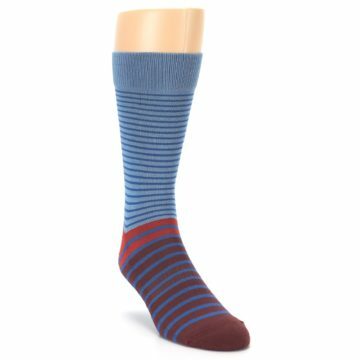 Your sock drawer will thank you for the make-over. 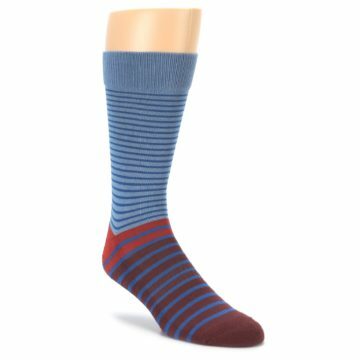 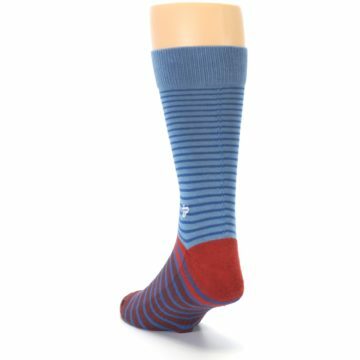 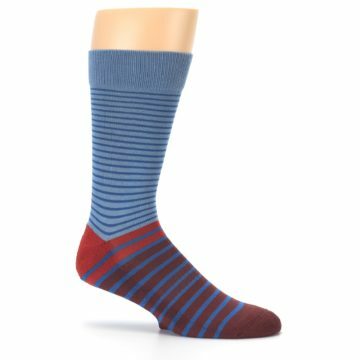 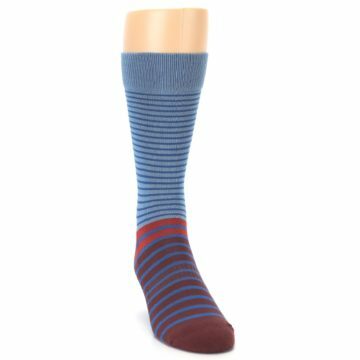 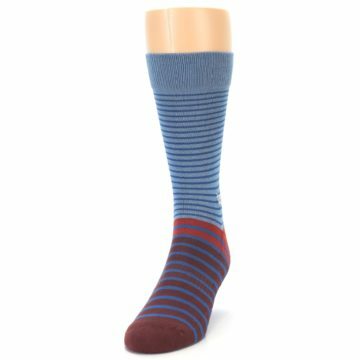 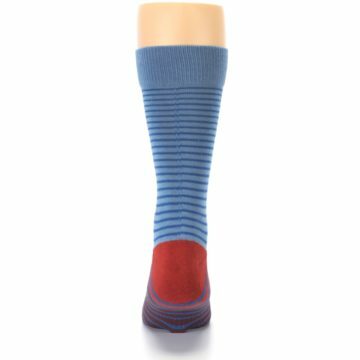 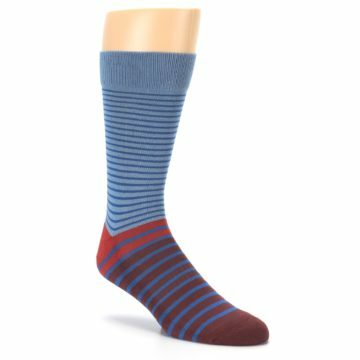 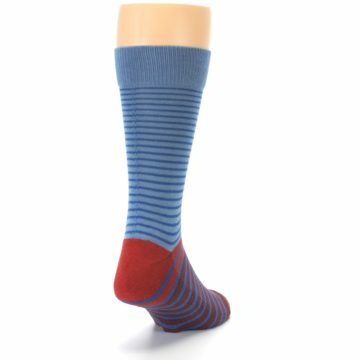 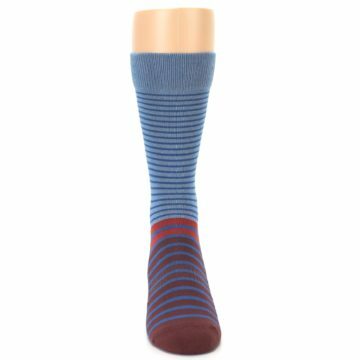 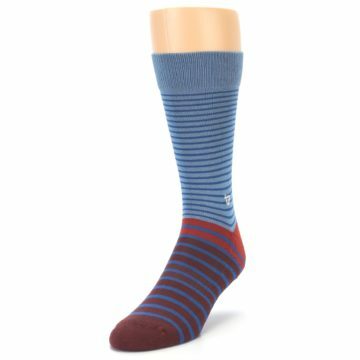 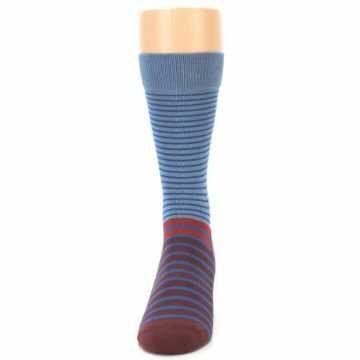 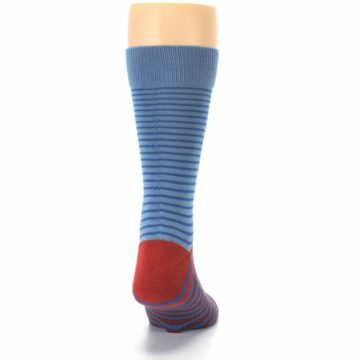 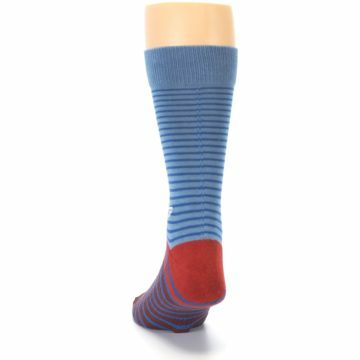 There are not yet any reviews for Blue Brown Striped Men's Dress Socks.